In The Community | Sutter Buttes Imaging Medical Group, Inc.
As we have done for several years, Sutter Buttes Imaging celebrates National Breast Cancer Awareness month by participating in Pink October. Pink October was created to increase breast cancer awareness in the Yuba-Sutter community. As a partner, Sutter Buttes Imaging provides low-cost mammograms to patients who are uninsured or under-insured. 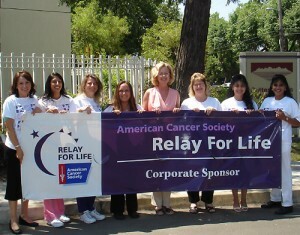 We are long term co-sponsors of the Race for Awareness, as well as the Survivor Fashion Show. Wednesdays in October are “Denim Wednesdays” and our staff will trade in their uniforms for their favorite pair of jeans and t-shirts to show support for Pink October. We are proud to be a major partner of this worthy cause! 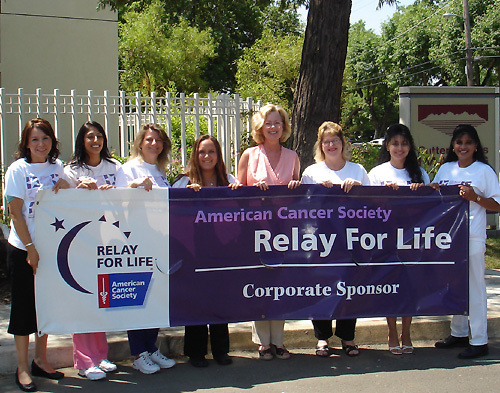 Sutter Buttes Imaging has been a proud sponsor of The American Cancer Society Relay for Life for over 15 years. Every year our staff forms a team to participate in the 24-hour event. We feel strongly about helping raise cancer awareness, and we are privileged to participate and contribute to such an important event.